Linux users: it’s time to check out Zenwalk again. Seven years ago this operating system was among the top ten listed on DistroWatch; these days Zenwalk is relatively obscure at 113th place. So not many people noticed when, earlier this year, a new version came out – a prelude to the upcoming 8.0 release. The result is a lightweight Linux setup, compatible with SlackWare packages, that’s fast to set up and comes with a complete suite of software for everyday use. You can download the latest version of Zenwalk right now, if you want. As it downloads, keep reading to find out what you can expect. Zenwalk’s been compared to the likes of lightweight distro Puppy Linux Everything You Ever Wanted To Know About Puppy Linux Everything You Ever Wanted To Know About Puppy Linux Here, we'll be taking a look at a distribution of Linux that is famous for being able to run with very little hardware requirements, Puppy Linux. 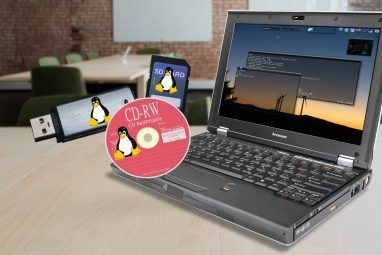 Puppy Linux isn't based on another distribution; it is... Read More , a lightweight distro designed to run from a live CD. Zenwalk isn’t competing in that space: it’s intended for installation. It is, however, designed to run quickly without compromising usability. To this end it uses the speedy but lightweight desktop environment XFCE XFCE: Your Lightweight, Speedy, Fully-Fledged Linux Desktop XFCE: Your Lightweight, Speedy, Fully-Fledged Linux Desktop As far as Linux goes, customization is king. Not only that, but the customization options are so great it might make your head spin. I have previously mentioned the differences between the major desktop environments... Read More . This choice gives you an idea of what Zenwalk is going for: it’s a complete desktop environment – not just a window manager – but without the excess CPU and memory consumption of current versions of Gnome or KDE. There’s a lot more offered by default, from development environments to an FTP client. It’s hard to think of much you’ll need that’s not offered out of the box. With all of these programs offered by default, most people will find themselves with a usable computer right away. Even things like Flash and codecs come with the system, meaning you don’t have to spend time hunting these things down. If you do think of something, however, you’re not totally out of luck. Netpkg, Zenwalk’s built-in package manager offers a range of programs you can install in just a few clicks. Can’t find what you want in the default mirrors offered by Zenwalk? Click the arrow and you can check the Slackware mirrors, giving you access to even more software. Be sure to update your mirrors by clicking the gear icon at top-right, then browse to your heart’s content. Zenwalk comes with an integrated settings tool, with GUI access to a lot of different options. Dig through the menu and you’ll find a few other tools for configuring things, meaning this is a great distro for first-time users to explore and experiment. In many ways it reminds me of old-school Linux – exploring and tweaking things feels rewarding. You’ll like it. Slackware, the oldest existing Linux distro Is Slackware, The Oldest Remaining Linux Distribution, Right For You? Is Slackware, The Oldest Remaining Linux Distribution, Right For You? Read More , is great but not really easy to set up. You need to decide everything, which is overwhelming for new Linux users. Zenwalk might not be exactly what you want out-of-the-box, but at least it offers you with a range of defaults. Once you get comfortable, you can use the package manager to explore other programs – or even move on to SlackWare, if you’re ready. Zenwalk’s come a long way since Danny reviewed it back in 2011 Zenwalk - A Linux Distro For Zen Computing [Linux] Zenwalk - A Linux Distro For Zen Computing [Linux] Linux offers us plenty of choices as to what kind of operating system we want to run on our computer. While this is great, it is often overlooked. Yes, there are the usual "big boy"... Read More . And yet it’s still probably not right for new Linux users. The installer will likely be confusing for new Linux users: it requires you partition everything yourself, using command-line tools, before you can install. There’s not a lot in the way of documentation out there, outside the official Zenwalk forums. There doesn’t even seem to be a home page for the distro as of this writing – heading to Zenwalk.org redirects you to the forums. The installer doesn’t create a non-root account, so you’ll have to log in as root and create one before you can use your newly installed setup. 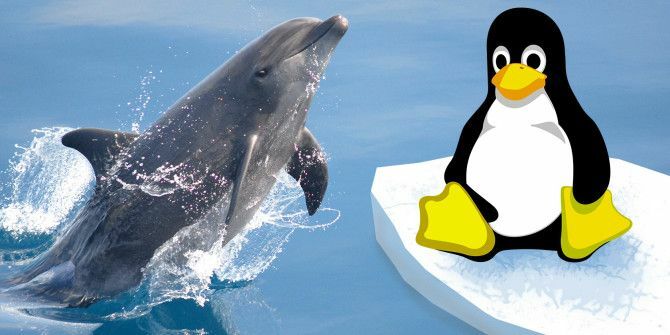 These issues and more mean Zenwalk might not be ready for our list of the best Linux distros The Best Linux Operating Distros The Best Linux Operating Distros The best Linux distros are hard to find. 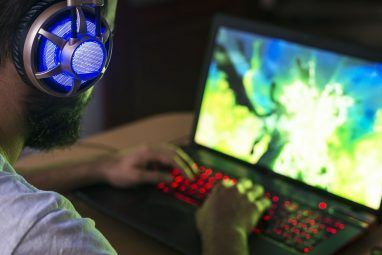 Unless you read our list of the best Linux operating systems for gaming, Raspberry Pi, and more. Read More , but don’t let that stop you: once you get everything set up, it’s a very usable distro. Did you give Zenwalk a spin? What did you think? Let us know in the comments below! Explore more about: Linux Distro, . @dragonmouth That's quite a rant there, Everest and base-jumping etc. What does logging in as root give you that "sudo bash" or "sudo su" doesn't? I'm really curious about this too. Niether does Microsft Windows, all current versions ask for a new account during setup and then go about silenty giving that new user super user rights all without any indication of doing so. If you happen to be aware of this behaviour and want to correct it you have to find your way to the place to set this new user to standard user status. After this point you no longer have super user access to your sytem as the Administrator account is disabled by default. So you would have to just know by osmosis or something to enable the administrator account first. The end result is the vast majority of Windows users run ther machines as super users and have no idea how insecure and easy to avoid this is. This is a very insecure and conterintuitive way of handling new user setup. And this from an OS that is said to be so user freindly and that linux is constantly being compared to when assesing eas of setup. Great article, thanks! I like Zenwalk because you can treat it like a lightweight Slackware , or you can treat it like a noob-friendly ubuntu-alike. Yeah it's right in that sweet spot isn't it? Thanks for taking the time to read the article.
" 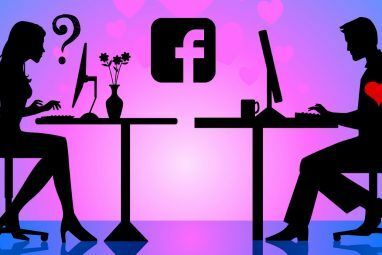 it requires you partition everything yourself, using command-line tools, before you can install." One can pre-partition using GParted and just assign the partitions during the install. The installer may not be as pretty and as streamlined as Ubuntu's but by reading the instructions on the screen carefully, rather than just banging on the OK button, anybody can use it, including newcomers. "The installer doesn’t create a non-root account"
It is much easier to create a user account in Zenwalk than it is to create a root account in Ubuntu and other distros. I suppose you could use a separate G-Parted live CD, if you really wanted to avoid the command line tool. But that's another extra step. Once partitioning is done the installer is simple, but anyone used to installer taking care of partitioning will find this approach surprising. Yes, it's pretty easy to create the account. The issue is I was disoriented, and Googling around I can see I'm not the only one. Will Ubuntu then allow a direct root log in? Why would you want a root account to log into directly? Seriously, what's the point? "Why would you want a root account to log into directly?" Why do people climb Everest? Why do people base-jump? Why do people run ultra-marathons? Because they want to and because they can. The point is that when I need to work with the system files, I like to do it directly. I have no qualms about doing it. If I blow up my system by making a stupid mistake, oh well, live and learn. I don't need some nanny of a developer making decisions about what I can and cannot access, trying to protect me from myself. I am quite aware of the consequences. I just asked a question, inquiring minds want to know. If the answer is "no, I can't gain root access", I'm fine with that. There are hundreds of other distros besides the Ubuntu-based ones that will allow me direct root access. In Ubuntu-based systems you can edit system files, you just need to use the superuser. It's more of a preference thing than a nanny-state thing, IMO. "sudo su" in the Terminal and you're basically root, do you want GUI-level root access? I'm just trying to see what I'm missing here.